Nantucket bed and breakfast travel guide for romantic, historic and adventure b&b's. Browse through the iLoveInns.com database of Nantucket, Massachusetts bed and breakfasts and country inns to find detailed listings that include room rates, special deals and area activities. You can click on the 'check rates and availability' button to contact the innkeeper. Easily reached by ferry or small plane, water activities have been a popular part of life on Nantucket, Massachusetts beginning with its whaling history. The island boasts pristine beaches that line the North, South and Eastern shore of Nantucket. An ideal way to get around is using the miles of bike paths. Take a Nantucket island tour with a local guide by bike, bus, water or on foot. Nantucket is a well-known center for visual and performing arts. A variety of concerts, festivals and parades are held throughout the year with local and national artists and there are world-class Nantucket museums to visit. 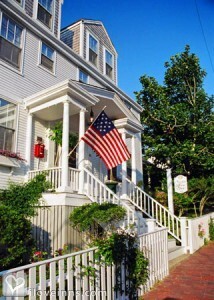 Nantucket bed and breakfast inns provide delightful accommodations with scenic views, ocean air and pampering amenities. By Summer House. Historic Nantucket Island is the crown jewel of the entire New England region. Just 26 miles off the coast of Eastern Massachusetts, Nantucket is easily accessible by air and sea - high-speed passenger ferries and vehicular ferries from Hyannisport, MA, shuttle flights from Barnstable, MA and major airlines. Chief among Nantucket's many attractions are more than 50 miles of natural, undeveloped beaches, Nantucket is also home to top-shelf boutiques and clothiers, world-class restaurants, and galleries galore, most located in the Historic Town center with its Old World Charm and architecture, cobblestone streets, and absolutely no By Centerboard Inn.